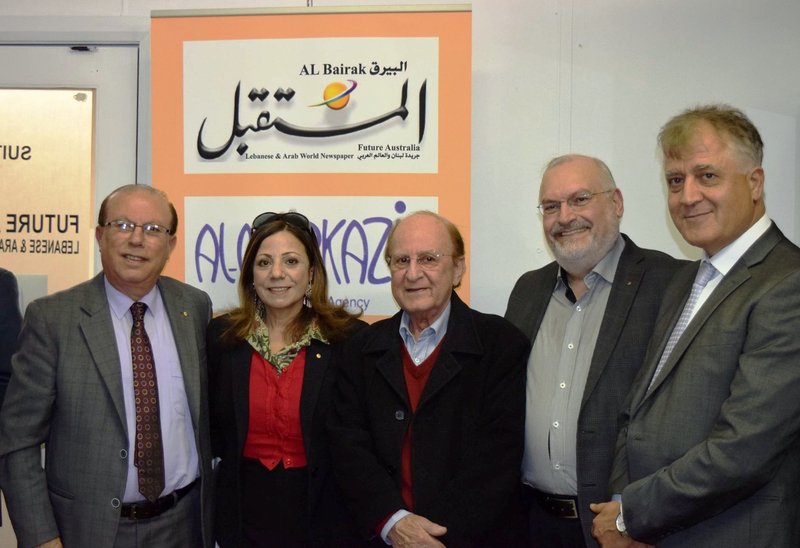 It is with great pride and pleasure that Al Mustaqbal, (Future) Lebanese and Arabic Newspaper in Australia launched the Partnership with Al Markazia Central News Agency in Lebanon, who recently announced the appointment of Al Mustaqbal newspaper as Correspondents for the Australian Continent. The launch officially took place on Friday the 20 July at Al Mustaqbal’s premises, Bankstown, in the presence of The Hon. 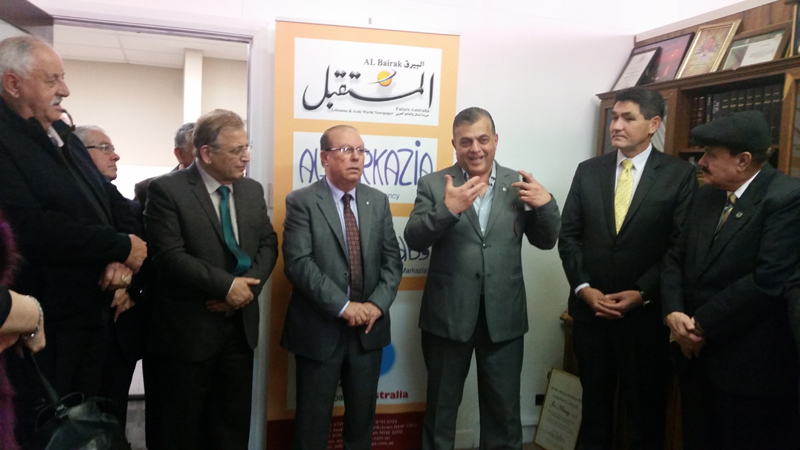 Shaoquett Moselmane, MLC, Parramatta Liberal Geoff Lee MP, Joseph Rizk OAM; CEO & Managing Director at Arab Bank Australia, Community Organizations’ Leaders, Political and Social Figures, Media Representatives, and Friends. For several decades the newspapers have played an integral part in the Australian Arabic Communities. Al Mustaqbal (Future) newspaper is the essential source of grassroots, Australian local news and Overseas and Lebanese information that matters most to readers. The General Manager of the Al Mustaqbal, Dr. Jamil El-Doaih, welcomed all and said the partnership project was founded by Mr. Joe Khoury OAM, who is regarded as the Dean of Journalism and Media in Australia. Al Mustaqbal and Al Markazia exchanged journalism will remain open to everyone in Lebanon and Australia, for democracy depends on reliable access to true information. This encourages all to know what’s happening in our world, and it can help all to have access to true information for years to come. El-Doaih also welcomed all interested people to contribute to the newspaper and to cooperate fruitfully as one family for the public goodness. 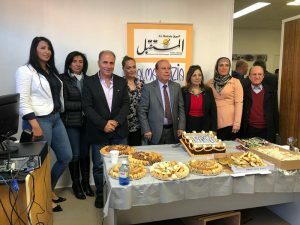 The President and Editor-in-Chief of the Al Mustaqbal, Joe Khoury OAM, said it is exciting to have a key milestone to deliver news and information on the latest top stories with one of the top leading agencies. Al Markazia was established in 1974 and today, it is one of the leading agencies in Lebanon and the Middle East, and now in Australia. The mission of the partnership is to create and deliver first quality service. It will hopefully be an excellent source of news designed to help the fast easy communications between Australia and Lebanon. It will cover the news of the most important topics that include political, social, cultural and economic issues. 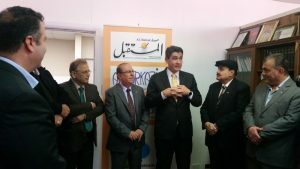 Shaoquett Moselmane MLC stated that Joe has been providing journalism service to the community for nearly half a century, and he has a deep understanding of the important issues of both societies of Australia and Lebanon. Shaoquett awarded Joe with a gift of appreciation in recognition of his exceptional contribution to the media in Australia and Al Markazia Agency in Lebanon. Geoff Lee MP congratulated Joe and his entire team on behalf of New South Wales government, for his continued work and the fantastic role that plays an integral and important part in bringing together the Australian Lebanese Community relation. “This is the next stage in your business from Lebanon to Australia and vice versa,” he said. Dr. Mustapha Alameddin praised Joe Khoury’s credibility as a long lasting service, a long time ago as a journalist in the days before the World Wide Web. “What we’ve witnessed today is a historical event and a long-term project. In the world of journalism, Australia and Lebanon can’t live without each other for they have a cultural bond like an iron chain that binds their two societies together.” Alameddin said. 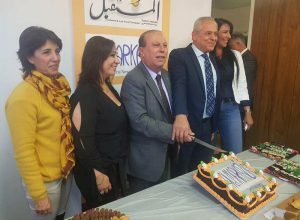 Mr. Ibrahim Barrak gave an expression of gratitude toward Joe Khoury who has been working hard silently in providing the truth in his journalism, acknowledging that Joe is a pleasant fellow who is the symbol of kindness, clarity, and a grateful heart, and has never caused any harm to any person during the long period of his journalistic profession. Undoubtedly, one of the project‘s aims is to show the good image of Lebanon and Australia. This was followed by a number of prominent speakers who spoke highly of Joe Khoury for his friendly popular personality and professional journalistic efficiency. It is worth mentioning here that I personally have known Joe Khoury for forty years, and I believe that his personality is extremely ethical that is characterized by the conception of honesty, transparency, luminosity, and integrity. Joe is a rare unique community friend who has a soundness of moral character and depends on reliable access to information. His newspaper of Al Mustaqbal (Future) newspaper is based on his profound success and constructed expertise in trustworthy journalism. The partnership with Al Markazia Central News Agency in Lebanon will definitely make it more competitive and highly rewarding, for it will act as the backbone of the media industry in both printing press and digital media. 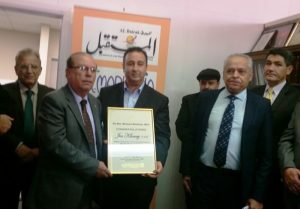 Congratulations to Mr. Joe Khoury OAM on the appointment of Al Mustaqbal newspaper as Correspondents for the Australian Continent, and extending warm Congratulations to the launching the partnership of Al Mustaqbal Lebanese and Arabic newspaper in Australia with Al Markazia Central News Agency in Lebanon, with the best wishes for continued future success. You can also contact me below on social media.